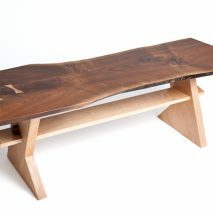 This table is constructed from a walnut slab with two wild edges. 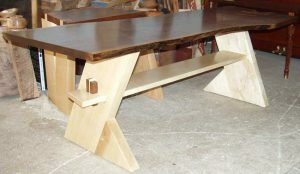 The base is constructed from 8/4 and 4/4 hard maple. 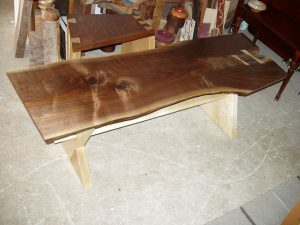 It has two decorative butterflies which are also functional in stabilizing the walnut top.